When it comes to a film the parodies real people or other movies, using a spoof of a famous image associated with said people/movies is a very normal way to build a poster. Not all that original, but it can be very effective. And images don’t get much more iconic than the one of the shirtless Jim Morrison. And yet, I don’t like this poster. At all. 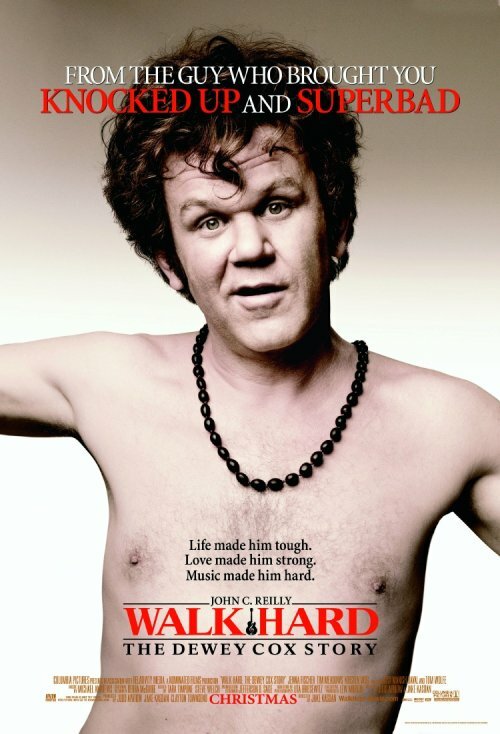 I think what it comes down too is that I just don’t buy John C. Reilly as a leading man. Love him as an actor, but don’t think he has the charisma or the funniness to carry a movie, or a poster. Somebody like Will Farrell might be able to make this poster work, but I don’t think Reilly can. That said, I still think it’s kind of weird that his names doesn’t appear prominently in the poster. I mean, he is the star. And the whole poster. You would think that would count for something. I disagree, the selling point of this film/poster is “Superbad” & “Knocked Up”. While John C. Reily is famous, he’s not a house hold name and doesnt neccessarily have a “cult” following, as someone like Will Farrell would.